An array of distal first metatarsal osteotomies has been described over the decades for the correction of hallux valgus. No one procedure is proficient in correcting all forms and severities of hallux valgus deformities. To optimize results, it is imperative for the surgeon to match a procedure and its modifications to the patient’s deformity. The dorsal long arm chevron osteotomy stands at the forefront for correction of mild to moderate hallux abductovalgus. The results with this specific osteotomy are predictable; it allows for early ambulation, and it is easily modified to compensate for the deformity at hand. There have been numerous procedures described over the years for the correction of hallux abducto valgus deformities. These procedures vary from simple “bumpectomies” to first metatarsal head osteotomies to more involved basilar osteotomies and even corrective arthrodesis. Secondary to early weight-bearing, the ability to tackle deformities in multiple planes, and technical ease, the distal metatarsal osteotomies have persevered as the most popular form of correction for mild to moderate deformities. One of the most debated complications of distal metatarsal osteotomies is that of avascular necrosis (AVN). Literature supports both the prevalence of avascular necrosis following the distal metatarsal osteotomy and the lack thereof. Another complication that can cause less than desirable results is first metatarsophalangeal joint (MTPJ) stiffness. 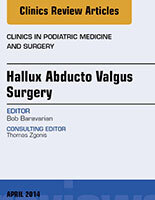 There have been over 300 surgical procedures described in the literature for the correction of hallux valgus deformity. It is imperative to remember that not one procedure is sufficient to correct all bunion deformities. The decision-making process must commence with the understanding that not all hallux valgus deformities are equal. When evaluating a deformity, there are many factors that must be considered. These factors include the patient’s chief complaint, occupation, age, expectations, and athletic interests. Thorough physical examination of the patient’s lower extremity and radiograph evaluation consisting of weight-bearing foot films are also essential in the decision-making process. The theory that reduction of an abnormal first intermetatarsal (IM) angle is essential to hallux valgus repair is well established. A variety of bony procedures are used for correction of metatarsus primus varus. These osteotomies are located at the distal portion of the metatarsal (head and neck), the midshaft and the base of the metatarsal, and corrective arthrodesis of the first metatarsocuneiform joint. Many algorithms have been developed to provide physicians with a logical scheme with which to approach a patient with a hallux valgus deformity. Distal metatarsal osteotomies are indicated for mild to moderate hallux valgus deformities. These procedures are intended for structural correction of the deformities of hallux abducto valgus manifested at the level of the first metatarsal head, such as increased IM angle, frontal plane rotation of the first metatarsal head, sagittal plant deformity of the first metatarsal head, and increased proximal articular set angle (PASA). Radiographically the hallux valgus angle (HVA) is less than 40°, the IM angle is less than 20°, and a there is subluxation of the first MTPJ. Because of several advantages, including relative ease of performance, metaphyseal location, and mechanically stable geometry, the chevron osteotomy has gained significant popularity.1 The combination of these features facilitates rapid osseous union and early weight-bearing. Midshaft and basilar osteotomies are characteristically indicated because the IM angle exceeds 15 to 20°. Commonly these osteotomies are accompanied by diminished intrinsic stability despite fixation, thus requiring periods of non-weight-bearing and immobilization. Reverdin2 was the first to describe correction of hallux valgus deformity by means of a distal first metatarsal osteotomy in 1881. This procedure required a medially based wedge osteotomy in the frontal plane preserving the lateral cortex. The osteotomy is located proximal to the articular surface of the metatarsal head and distal to the sesamoid apparatus. The original intention was correction of an abnormal proximal articular set angle (PASA). This osteotomy was linked with difficult fixation and potential sesamoid disturbance. Green3 then described a modification to the Reverdin procedure in 1977, changing the osteotomy design to a horizontal L to evade possible damage to the dorsal articular surface of the sesamoids or the sesamoidal grooves beneath the metatarsal head. In this modification, the lateral hinge remained intact and therefore did not attend to the IM angle or sagittal plane deformities. In 1988, Laird and coworkers4 published another modification to the Reverdin using Green’s modification as well as completing the vertical osteotomy cut by passing through the lateral cortex of the first metatarsal head and resecting a medially based wedge of bone from the plantar shaft of the metatarsal. By transposing the distal part of the first metatarsal head laterally, this modification affords a relative reduction of the metatarsus primus adductus angle as well as reducing the proximal articular set angle (PASA). The medially based wedge of bone resected would also reduce any valgus rotation of the great toe. A year later, Zyzda and Hineser used a bone graft to alleviate possible shortening as well as to correct sagittal plane deformity. They advised rotating the resected dorsal wedge of bone 180° and reinserting it into the dorsal osteotomy site with the base adjusted laterally as an autogenous bone graft to compensate for a sizable proximal articular set angle (PASA) or short first metatarsal. Likewise, the resected wedge was inserted into the plantar osteotomy with the base of the wedge lateral to account for a valgus deformity or the graft could be inserted to plantarflex the metatarsal head. These authors thought this technique avoided excessive correction and therefore overcorrection. Today, the Reverdin is often added as an adjunct procedure to basilar osteotomies or arthrodesis to primarily account for a large PASA, most likely caused by the osteotomy’s innate lack of fixation options. Lombardi and colleagues6 described adding the Reverdin to a Lapidus procedure if soft tissue correction of the valgus deformity is deficient or the PASA is exceptionally large. However, with this combined approach considerable shortening of the first metatarsal occurs, yet Lombardi found no occurrence of lesser metatarsalgia complaints, which he attributed to sufficient plantarflexion of the metatarsal at the arthrodesis site. The first surgeon accredited with describing a procedure that concurrently tackled abnormalities involving the metatarsus primus adductus angle, metatarsus primus elevatus, and the proximal articular set angle (PASA) was Hohmann. His operative technique used a complete trapezoidal osteotomy located at the anatomic neck of the first metatarsal with the widest part located medially. The location at the metatarsal neck avoided the sesamoid apparatus, decreasing the prospect of developing sesamoid arthritis. Hohmann did not believe in transecting the medial eminence; therefore, the whole procedure was performed extracapsularly. This procedure is referenced purely for a historical reference. It is no longer performed as originally depicted secondary to its unstable osteotomy and high frequency for dislocation. Many modifications to the Hohmann procedure were fashioned to bestow more stability to the osteotomy site as well as resect the medial eminence while still attempting the same end result. In 1984, Warrick and Edelman7 examined certain modifications such as resection of the medial eminence and altering the direction of the wedge resection to an oblique orientation rather than transverse, which permitted proper screw fixation. This modified Hohmann bunionectomy was performed on 15 feet in 11 patients. The average preoperative first IM angle was 12.5° with a postoperative angle of 7.7°. The width of the first metatarsal shaft was a limiting factor as well as the shortening that subsequently occurred when increasing the obliquity of the osteotomy to correct a greater IM angle. The amount of PASA correction was established by the size of the trapezoidal wedge resection. The authors uncovered, on average, a 4.1-mm shortening of the first metatarsal that they thought to be the most disadvantageous complication to this modified Hohmann procedure. Thus, the application of this procedure has been limited to mild to moderate hallux valgus deformities. In 1945, Hawkins and colleagues8 described a transpositional, step-cut osteotomy to correct the IM angle combined with resection of the medial eminence. It was Mitchell who later described and popularized a biplanar metaphyseal osteotomy, which displaced the capital fragment both laterally and plantarly, also shortening the first metatarsal. Merkel and colleagues9 performed a retrospective study of 96 Mitchell first metatarsal osteotomies with an average follow-up of 7 years. Only 59% of those patients were available for follow-up. They found excessive first metatarsal shortening, dorsiflexion of the osteotomy, and failure to correct the first IM angle to 10° or less were all associated with overall patient dissatisfaction. Shortening of the first metatarsal was found to be more than 5 mm in 39 of the 56 patients available for follow-up. The removal of a rectangular wedge of bone while attempting to retain a lateral cortical spike produces a technically demanding procedure. Significant shortening results from wedge removal that subsequently may generate lesser metatarsalgia. The threat of enhanced angulation and displacement are also probably secondary to the inherent instability of the osteotomy. Therefore, patients undergoing this procedure must be non-weight-bearing for a period of time even though most patients are able to bear weight right away following most distal metatarsal osteotomies. In 1963, Wilson described a through-and-through osteotomy oriented 45° from the transverse plane. This osteotomy began medially at the proximal aspect of the medial eminence and coursed in a distal-medial to proximal-lateral direction attending to the IM angle and PASA. Several complications proceeded this procedure, including shortening, inherent instability, dorsiflexion, lesser metatarsalgia, and recurrence to name a few. Many modifications to the Wilson osteotomy ensued. Helal and colleagues described orienting the osteotomy 45° to the sagittal plane, preventing dorsiflexion as well as plantarflexion of the capital fragment to compensate for any shortening. Grace and colleagues reinforced the medial capsule by suturing a medial flap of capsule under tension to the periosteum or through a drill hole in the metatarsal shaft. Allen and colleagues were the first to use internal fixation by placing a screw, which permitted simultaneous correction of an increased IM angle and a laterally deviated cartilaginous surface. Johnson and Smith13 first described the DRATO procedure, a derotational, angulation, transpositional osteotomy of the first metatarsal head. The preoperative criteria include frontal plane rotational of the metatarsal head, abnormal proximal articular set angle (PASA), plantarward adaptation of the articular surface of the first metatarsal, mild increase of the IM angle, and a normal distal articular set angle. Because the preoperative criteria for this procedure are so specific, very few cases tend to be performed. In 1962, Austin first performed a horizontally directed “V” displacement osteotomy for the correction of hallux valgus. However it was not until 1981 that Austin and Leventen1 published their description of a distal chevron osteotomy of the first metatarsal. In this publication, they reviewed more than 1200 patients in which the chevron osteotomy was performed. Their objective was to construct a procedure that addressed 3 key points: restoring the alignment of the first MTPJ, correcting the hallux valgus, and correcting the metatarsus primus varus while maintaining osteotomy stability and allowing early ambulation. Originally this osteotomy did not include fixation. Austin thought the shape of the osteotomy as well as the impaction of the cancellous capital fragment on the shaft of the first metatarsal offered ample stability to sacrifice fixation. In 1985, Jahss and colleagues assessed the operative effectiveness of 5 distinct metatarsal osteotomies for hallux valgus correction. The series had 120 feet evaluated via radiography over a 5-year period and the osteotomies included biplanar neck, chevron, biplanar basilar, basilar concentric, and basilar concentric with a lateral closing wedge. All the osteotomies with the exception of the chevron had varying plantar displacement of the capital fragment and fixation with crossed K-wires. They found the chevron gave the least amount of correction by approximately 2° and there was a 12.5% loss of correction secondary to the absence of fixation. Hattrup and Johnson interviewed 154 patients with 225 chevron osteotomies: 79.1% of the procedures conveyed complete satisfaction, 12.9% stated satisfaction with minor reservations, and 8% were dissatisfied. Failure to achieve correction and technical errors were the major factors generating incomplete satisfaction. Several modifications in the technical part of the procedure have been made since the initial depiction. These modifications have included the use of various alternative methods of internal fixation, altering the angle of the osteotomy, and augmenting with additional procedures. Numerous modifications have been created as surgeons try to benefit from the advantages of these procedures while addressing their deficiencies. Possibly the most popular modification to the Austin osteotomy is that of the Kalish or long dorsal arm, which is more amendable to screw fixation. This modification was fashioned to address the limitations of the standard Austin procedure, including displacement and malposition of the capital fragment, delayed or nonunion, difficulties with fixation, and limited postoperative first MTPJ range of motion. The dorsal long arm osteotomy allowed for correction of larger deformities by permitting greater lateral displacement of the capital fragment. Also, 2-screw fixation was feasible, which has been found to distribute the compression forces across the osteotomy more evenly and resists rotation of the capital fragment. In 1982, Youngswick described a modification to the chevron osteotomy that would also plantarflex the metatarsal head for a reduction of metatarsus primus elevatus while maintaining the 60° horizontal “V” osteotomy. This modification was achieved by placing a second osteotomy parallel to the original dorsal osteotomy from the classic chevron osteotomy. This second osteotomy therefore permitted a preset portion of bone to be removed so that after impaction of the capital fragment on the metatarsal shaft, plantarflexion of the metatarsal head ensued. A true biplanar correction results when combining this modification with the lateral displacement of the classic chevron osteotomy. Bösch and colleagues first described a percutaneous transverse distal metatarsal osteotomy in 2000 and Giannini and colleagues in 2003 and Magnan and colleagues in 2005 further popularized the technique. Current trends for surgical treatment are toward minimally invasive procedures that entail minimal soft tissue stripping, theoretically decreasing morbidity. The percutaneous procedure described by Giannini and colleagues begins with a 1-cm medial incision at the first metatarsal neck directly down to bone.A complete osteotomy is performed at the metatarsal neck by using an oscillating bone saw. The capital fragment is displaced to correct the hallux valgus angle (HVA), intermetatarsal angle (IMA), and distal metatarsal articular angle (DMAA) and is stabilized with a 2-mm K-wire. Their results showed no avascular necrosis of the first metatarsal head nor pseudoarthrosis of the osteotomy. The mean preoperative HVA was 33; mean preoperative IMA was 13, and the mean preoperative DMAA was 20. At an average follow-up of 7 years, the HVA was 16; IMA was 7, and the DMAA was 8. As the distal first metatarsal osteotomies have evolved, so too have the fixation options. They comprise impaction (which in theory is not a fixation method), sutures, Kirschner wires, metallic screws, staples, absorbable screws, nonlocking plates, and locking plates. Metallic screws tend to be the most fashionable method of fixation of a distal metatarsal osteotomy. Screw fixation provides relative stability as well as compression, when inserted via a lag technique. Rotational stability may also be achieved if 2 screws are placed across the osteotomy. Anesthesia is usually obtained with local anesthesia and intravenous sedation. An ankle pneumatic tourniquet is applied and inflated to 250 mm Hg to achieve the desired hemostasis. The incision is placed medially near the junction of the plantar and dorsal skin. This technique tends to produce a nicer cosmetic result than that of a dorsal or dorsal-medial incision. The incision is deepened by blunt dissection, taking care to retract neurovascular structures and cauterize superficial veins. A plane is created between the capsule of the first MTPJ and the subcutaneous tissue, which allows retraction of the subcutaneous tissue and its neurovascular elements as one unit. The capsulotomy is then performed using a semi-elliptical incision at the dorsomedial shoulder of the first metatarsal head and subsequently the redundant capsule is removed. The medial eminence is resected parallel with the medial border of the foot by using an oscillating saw. The specific osteotomy is chosen and carried out in the metaphyseal region to provide a larger surface area for bone contact. The authors prefer a long dorsal arm chevron osteotomy, allowing for a 2-screw fixation, which has been found to be quite stable and decreases rotational forces. The metaphyseal bone aids in rapid healing and is relatively stable for fixation. In 1997, Badway and colleagues reported that capital fragment following a chevron osteotomy could be displaced laterally up to 6 mm in male and 5 mm in female patients, which represents approximately 30% displacement of the metatarsal’s width. However, some have advocated translating the capital fragment greater than 30% to expand the indications for the chevron osteotomy to include first IM angles in excess of 20°. In a retrospective study by Stienstra and colleagues 38 bunionectomy cases with large displacement distal chevron osteotomies (greater than or equal to 40% lateral translation) were found to have an average lateral translation of 9.8 mm with a relative change of the IM angle of 10°. A 1.5 cm × 1.5 cm amniotic membrane graft is then placed on the dorsal aspect of the first metatarsal head and the capsule is closed with 2.0 Vicryl. Subcutaneous tissue is closed with 4.0 Monocryl and the skin is reapproximated with 5.0 nylon. Sterile compressive dressing is applied consisting of Xeroform, 4 × 4 gauze, Webril, Kling, and Coban. The tourniquet is released and the short Cam walker boot is applied while patient is still on the operating table. The patient is placed into a short Cam walker boot and is instructed to be weight-bearing as tolerated in the boot at all times. The patient’s first postoperative appointment in the office is 5 days after surgery. The Cam walker boot is removed at this time and radiographs are taken in the office, including 3 views weight-bearing of the surgical foot. The bandage is changed and a fresh bandage is applied as well as the Cam walker boot. The patient is instructed to continue to weight-bear as tolerated in the boot. At 2 weeks after surgery, skin sutures are removed, allowing the patient to get incision site wet now and begin passive range-of-motion exercises about the first MTPJ. The patient continues in the short Cam walker boot for an additional 2 weeks. Radiographs are obtained again at 4 weeks after surgery, and if osseous healing is satisfactory, the patient is transitioned into a stiff-soled shoe and physical therapy may be initiated to increase the first MTPJ range of motion. Approximately 6 weeks after surgery, the patient may begin to increase activity as tolerated. Just as any other surgical procedure, first metatarsal head osteotomies also have their share of possible complications. These complications can range from chronic edema to avascular necrosis of the first metatarsal head. The more common complications include delayed union, limited first MTPJ motion, lack of toe purchase, chronic edema, hallux varus/adductus, and hallux abductus. Less common complications, such as intraoperative fracture, excessive shortening, elevatus of the first metatarsal head, and avascular necrosis, may have decreased in prevalence secondary to better preoperative criteria and improved surgical instrumentation. A common complaint after distal metatarsal osteotomies intended to treat hallux valgus is decreased first MTPJ range of motion. Jones and colleagues found limited joint motion in approximately 8% of patients following head osteotomies in their retrospective statistical analysis of complications after hallux abducto valgus surgery. The authors thought the limited range of motion was secondary to first metatarsal elevates and to intracapsular adhesion. Transfer metatarsalgia may occur secondary to excessive shortening of the first metatarsal, which in turn increases the pressure borne by the second metatarsal. Jahss and colleagues state that second metatarsalgia, commonly present in conjunction with a hallux abducto valgus deformity, is further provoked by surgical procedures that shorten the first metatarsal, dorsally tilt the capital fragment, or cause loss of hallux purchase. Shapiro and Heller noted 33% of patients reported lesser metatarsalgia following a Mitchell osteotomy. Because an innate part of the Mitchell osteotomy is shortening, the authors thought the Mitchell procedure was not indicated for patients whose first metatarsal was more than 4 or 5 m shorter than the second preoperatively. Conversely, Merkel and colleagues9 found in their series of 96 Mitchell osteotomies that the primary cause of transfer metatarsalgia was dorsal displacement of the capital fragment. It is vital that the capital fragment is plantarflexed to prevent this complication. It is essential to consider both the functional and the structural deformities of hallux valgus. When the deformity is treated surgically as only a functional or structural deformity, troubles will occur in overcorrection and undercorrection. Undercorrection or recurrence of hallux valgus is often secondary to insufficient soft tissue release or poor structural correction. The metatarsus adductus angle and the first metatarsal width are key factors when preoperatively evaluating the parameters, which will aid in the selection of the proper procedure. It has been recorded in the literature that recurrence of hallux valgus deformity occurs in approximately 10% of cases. It is thought that this recurrence rate could be significantly lessened if the indications for the procedure are not overextended. Hattrup and Johnson reported recurrence of the deformity in 18 of 225 procedures, whereby the average preoperative hallux abductus angle of 37° was corrected to an average of 31° postoperatively. Hirvensalo and colleagues noted in 78 chevron ostetotomies that were performed in 60 patients with painful hallux valgus, and a recurrence of the deformity occurred in 8 feet (10%). They found that hallux valgus recurred when the preoperative hallux abductus angle averaged 37° or more and the first IM angle averaged 13° or more. The risks of recurrence, undercorrection, and/or malunion are increased when using distal metatarsal osteotomies for more severe deformities. Possibly the most severe complication is AVN. The incidence of AVN has been reported as low as 0% and as high as 20% following a distal chevron osteotomy. Jones and colleagues explored the blood supply to the first metatarsal head in a cadaveric study. Using latex injection and a modified Spalteholz technique, they discovered an extraosseous network of vasculature proximal and distal to the chevron osteotomy. When the osteotomy is performed properly, both networks were preserved. Potential technical errors, such as overpenetrating the saw blade and erroneous placement of the proximal arms of the osteotomy inside the joint capsule, could cause severing of the dorsal metatarsal artery. The amniotic membrane is a new allograft that is procured from electively donated placentas after childbirth. This placental tissue bears unique biologic properties that promote regenerative healing while controlling inflammation and preventing scar. This bioactive matrix encloses exclusive matrix proteins that regulate inflammation and prevent scar formation, which could further lead to limited functional recovery, poor cosmesis, and further surgery. An array of distal first metatarsal osteotomies has been described over the decades for the correction of hallux valgus. Many of these osteotomies have been discarded or modified throughout the years. No one procedure is proficient in correcting all forms and severities of hallux valgus deformities. To optimize results, it is imperative for the surgeon to match a procedure and its modifications to the patient’s deformity. The authors consider the dorsal long arm chevron osteotomy stands at the forefront for correction of mild to moderate hallux abductovalgus. The results with this specific osteotomy are predictable; it allows for early ambulation, and it is easily modified to compensate for the deformity at hand.